Package rates are based on double room occupancy and a two person minimum. 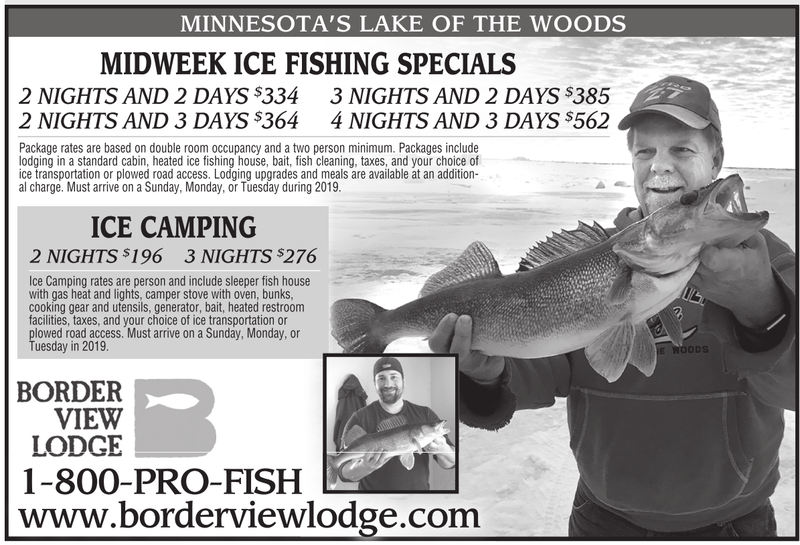 Packages include lodging in a standard cabin, heated ice fishing house, bait, fish cleaning, taxes, and your choice of ice transportation or plowed road access. Lodging upgrades and meals are available at an additional charge. Must arrive on a Sunday, Monday, or Tuesday during 2019. Ice Camping rates are person and include sleeper fish house with gas heat and lights, camper stove with oven, bunks, cooking gear and utensils, generator, bait, heated restroom facilities, taxes, and your choice of ice transportation or plowed road access. Must arrive on a Sunday, Monday, or Tuesday in 2019.